Collector and well-known Italian restorer since over 25 years of the famous Lambretta and vintage scooters, Vittorio Tessera managed to realize his dream in creating the Scooter & Lambretta Musem, which was inaugurated in January, 2006 in the neighbourhood of Milan. It hosts 118 different scooters from all over the world, a huge amount of documents, catalogues, brochures, drawings, photographs and films from historical archives. 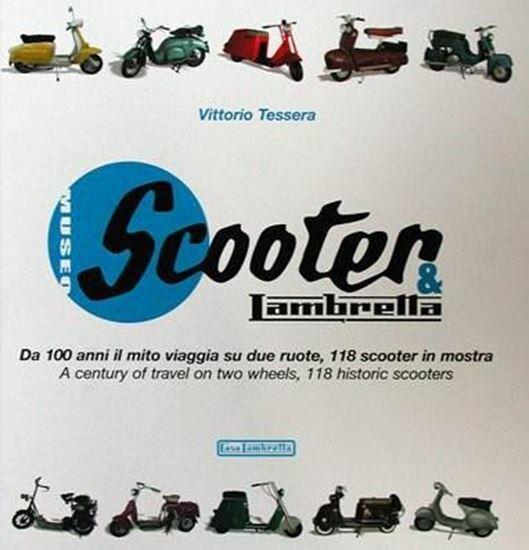 Over 500 colour pictures, production and technical datas for each model, Italian/English text, make this book a Òmust have itÓ item for each real scooter enthusiast.